At Budo-Nord you will find most in Budo and martial arts. We have worked with martial arts produkteri over 30 years and today Budo Nord is one of the largest brand of martial arts and martial arts products. Budo-Nord’s products are designed to meet the elite high demands for function and fit. Budo-Nord uniforms and martial arts items seen at competitions and games on team level, the instructors and coaches, the pros and eager aspirants. In the Swedish budo childhood the public did not know much more than that it was some kind of wrestling, but in clothes that looked like white pajamas, so it all got the name pajamas wrestling – and these pajamas was delivered at a very early stage of Klas Lifors and his Budo Nord. As one of the very first in the industry Klas imported martial arts clothing and gear from Japan and other East Asian countries in the early 60′s. He had a small shop cluttered with items, in a quaint neighborhood on the south of Stockholm – only enthusiasts could get there, but back then it was only a small dedicated group who practiced judo, karate, jujitsu, aikido and other oriental martial arts. They made pilgrimages to crowding in Klas little shop, where his mother expedited. Klas was not satisfied with the uneven quality of the goods that the Asian suppliers provided – often with too lengthy delivery time. In 1973 he managed to get a Swedish manufacturing, with a few deft seamstresses at Otter village’s former school in Torsby, where they would soon start production of the famous white pajamas are or rather Keikogi, training suits, which quickly became dominant in Scandinavia. Karate and Ju-jutsun had a favorite outfit that could tolerate pressures and suited us Westerners. Swedish quality and expertise was a success, not the Asians could match, and soon Budo-Nord had customers as far away as England, Germany and France. The next major step took Budo-Nord with the whole store, which moved from its location to Sveavägen middle of Stockholm. At the event, attended, in addition to the major in the Swedish martial art, long-cheerful fellow Janne “Loffe” Carlsson. Martial art Fo practitioner had indeed been more but never previously appeared in such illustrious connection, as the big store on the main street, with huge windows where whole kendo armors, rows of richly illustrated books, wooden sword, makiwara and other strange training tools were presented to a wondering public . 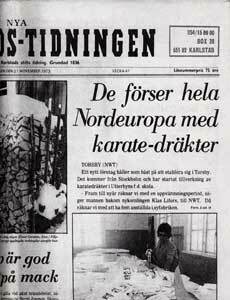 Budo- Nord had become so obvious that significant part of the Swedish Martial art, so it was natural that the Swedish national team in karate and jujitsu turned to us for their equipment. Soon, Budo-Nord cooperation with all the leading karate styles and with the Swedish course-jutsun. 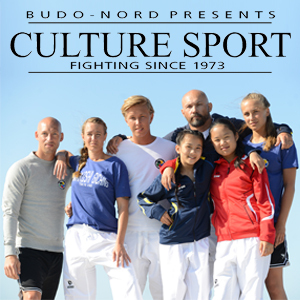 Sales picked up in Norway, Denmark and Finland, which led to the Budo-Nord was equipping national teams in all the Nordic countries. Nord was the product development a constant driving force. with knowledgeable and lengthy directive was Budo-Nord started a skilled manufacturing in Taiwan, where the products are improved in both design and materials. One of the best examples of this was the karate suit of napped (brushed) canvas, as Budo-Nord took until the mid-80s, which eventually became standard in the industry. This type of suit has become a world leader and had many imitators, but in some places bungle so that it only has the look together with Budo-Nord’s original, made of cotton fabric with extremely high performance. 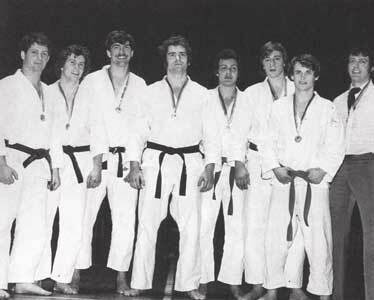 Also judo suits renewed Budo-Nord radically in the 80s, through the introduction of the white gi. 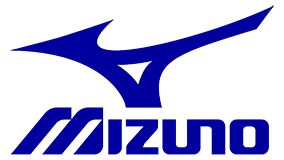 Previously, customers themselves often had to bleach his newly purchased clothing with strong chlorine to get them white. 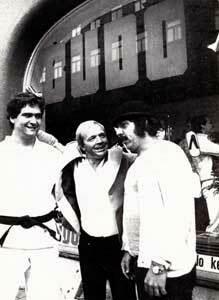 Besides the suits and workout gear on Budo-Nord endeavored to produce adequate protection for martial art. Unlike other brands Budo-Nord protection fitted with shock-and shock-absorbing posts. Though it meant a higher cost, Budo-Nord considered it essential to offer protection to the extent possible to minimize the risk of injury. The encouragement and support as Budo-Nord received over the years, and the established concepts Budo Nord has become, is a reward.